To poach peaches, we begin rather like for tomatoes. To peel them, we boil them for a few seconds, then plunge them into cold water. 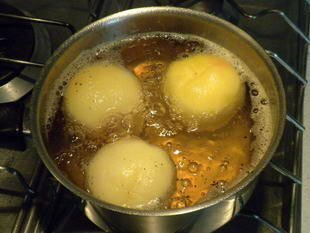 Once the skin has been removed, they are poached gently in a light syrup.